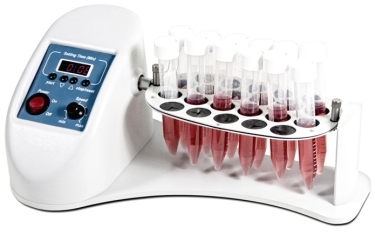 Compact, economy solution with simple to use controls, providing thorough mixing of samples in tubes up to 50 ml. Suitable for use in cold rooms and incubators. Suitable for preventing blood coagulation in tubes and for fulfilment of procedures of extraction of biological components.